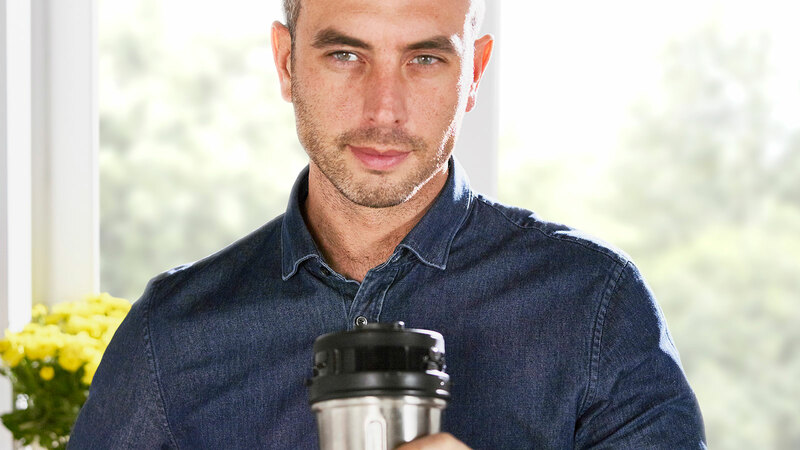 Now you can truly customise your nutrient-rich smoothies and drinks. 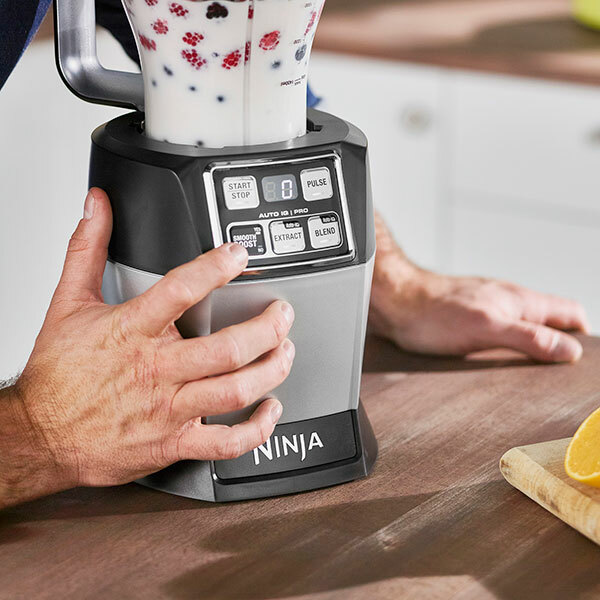 With Auto-iQ Technology for foolproof results, make recipes exactly how you like them with the Nutri Ninja® Pro Complete. 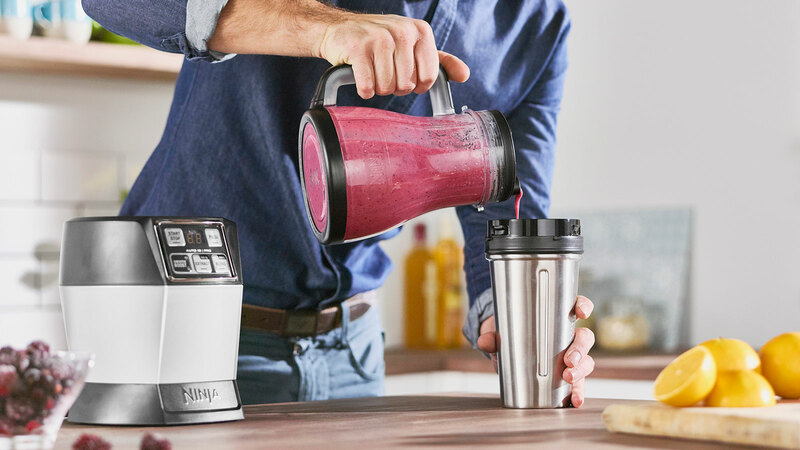 Nutri Ninja Pro Complete Blender & Smoothie Maker with Auto-iQ 1100W – BL488UK – Silver has been added to your basket! 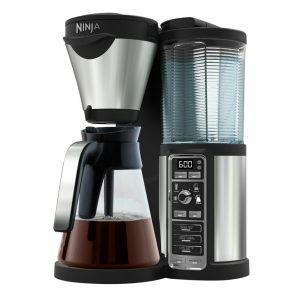 1100 watts of power drive the Patented Pro Extractor Blades to rotate at an incredible 20,000RPM, leaving you with deliciously smooth drinks exactly how you like them. 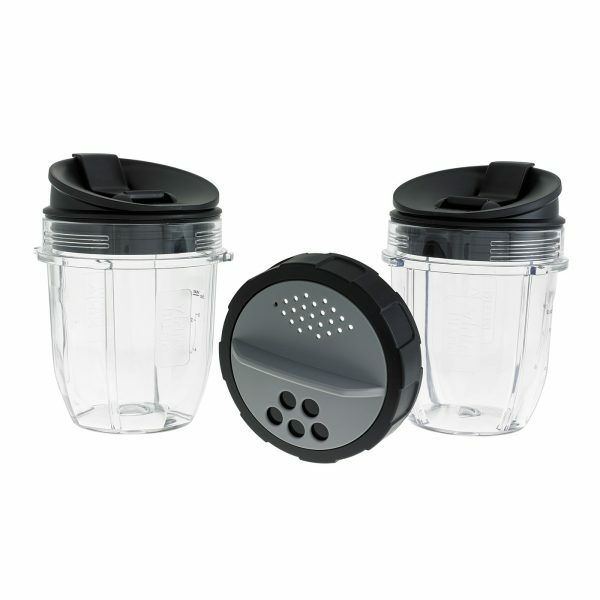 Turn your personal blender in to a multiserve blender with the 1.2 l jug included in the box. Make enough to share or save for later. 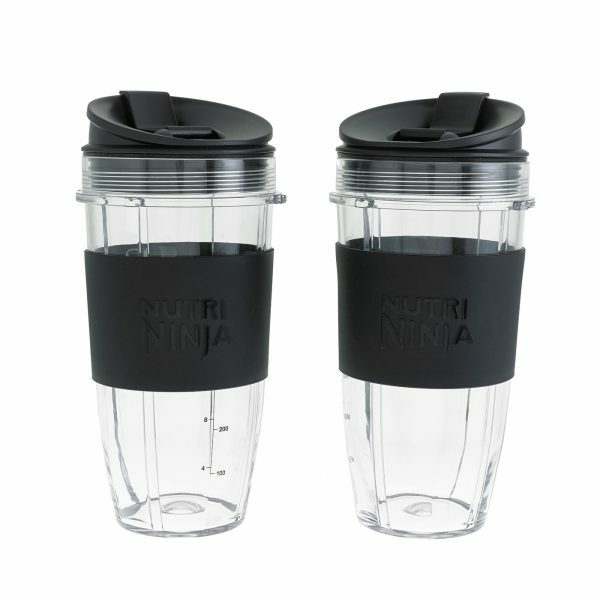 Now you can truly customise your favourite drinks, with the Nutri Ninja Pro Complete. 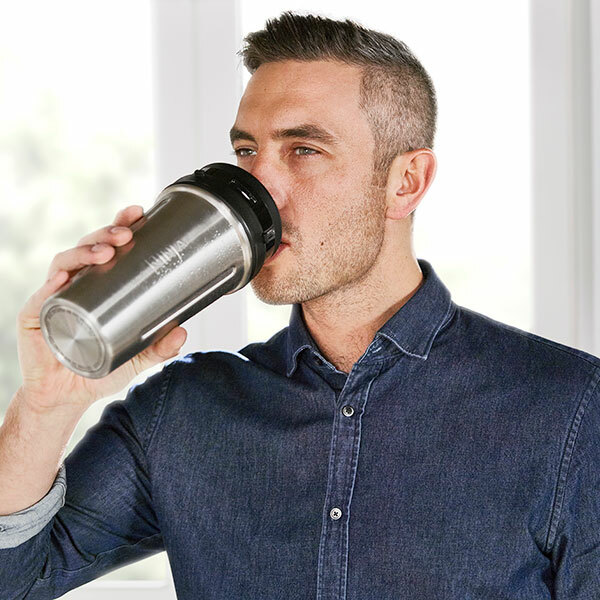 Create deliciously drinkable nutrient-filled juices, silky smoothies, mouth-watering milkshakes, and even frozen drinks and cocktails, completely as you like them. How? 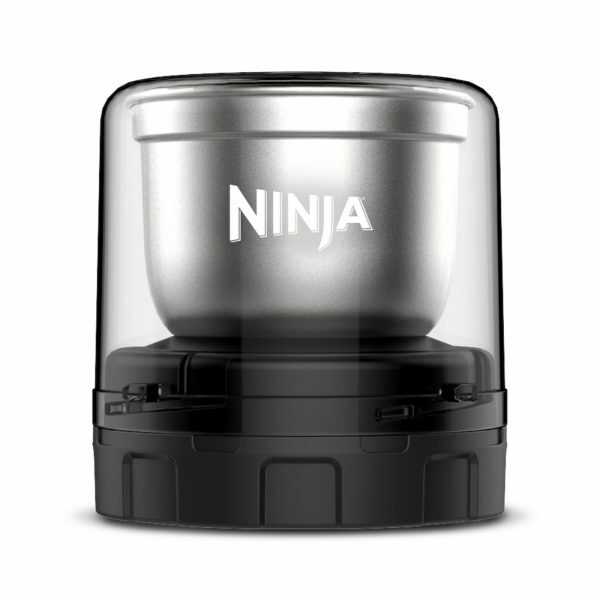 This Nutrient Extractor features Ninja’s Auto-iQ® and Smooth Boost™ Technologies. Pre-programmed pulse and blend patterns create the optimum texture at the touch of a single button. 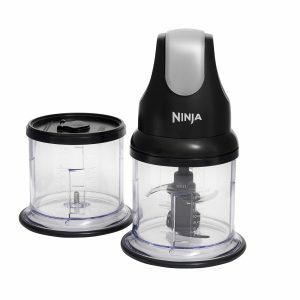 Its impressive 1100-watt motor powers the unique Pro-Extractor Blades®, breezing through tough, fibrous ingredients, crushing ice and blending whole fruits and vegetables, nuts and seeds with ease. 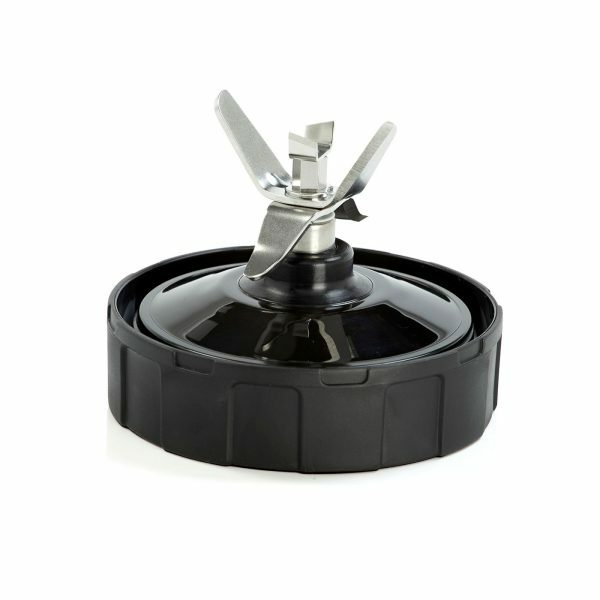 Cleaning is a breeze, just rinse under the tap or place in your dishwasher and it’s done! 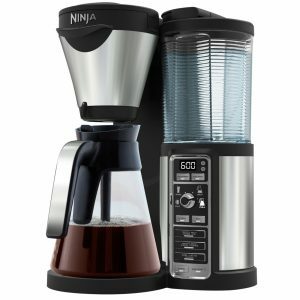 This unique appliance comes complete with Ninja’s most durable scratch, stain and odour-resistant 650ml Tritan™ Cup and the new Ninja Stainless Steel cup, helping to keep your delicious creations cool for up to 4 hours longer*. 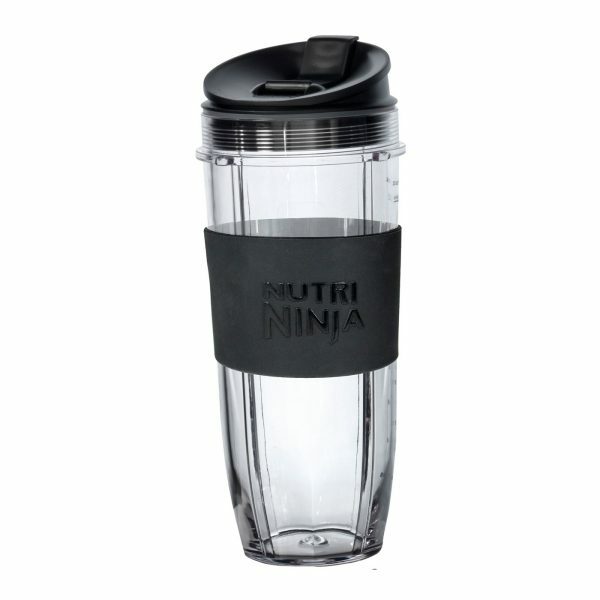 Also included are two Spout Lids, making it even easier for you to enjoy your drink on the go! 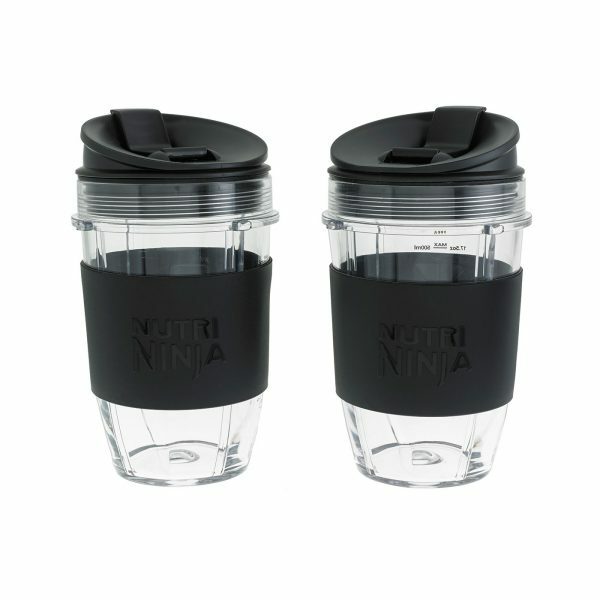 The 1.4 litre Ninja batch maker is included, great for sharing or saving for later. Ninja Pro Complete, for all of your personalised drink needs. 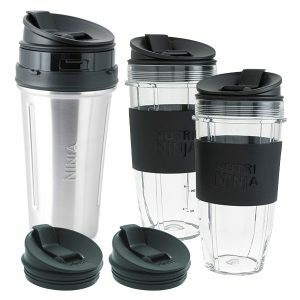 *As compared to Ninja® single-walled plastic cups when blended with ice and frozen ingredients. 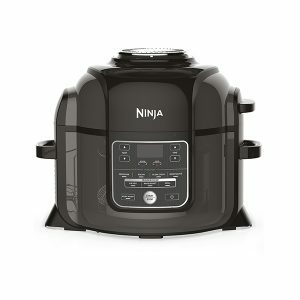 Where can I purchase parts for my Nutri Ninja with Auto-iQ? You can purchase replacement parts and accessories at Ninjakitchen.eu. 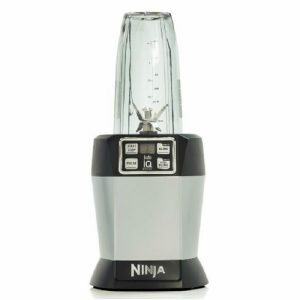 Nutri Ninja Pro Complete Blender & Smoothie Maker with Auto-iQ 1100W – BL488UK – Silver is rated 5.0 out of 5 by 62. 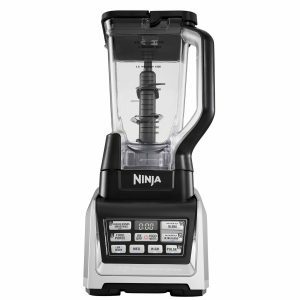 Rated 5 out of 5 by Jude from All you can want in a blender Used the ninja for the 1st time since I bought a couple of weeks ago and am very impressed. 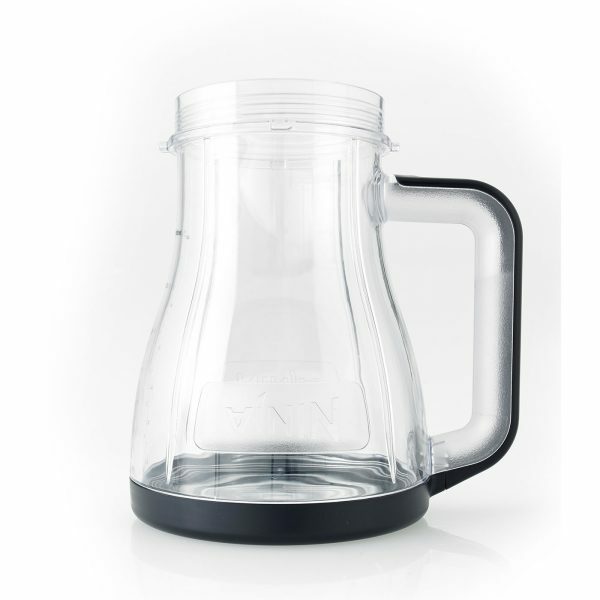 Does what a hand blender could never do and blend ingredients to a smooth thick liquid . Completes my kitchen! 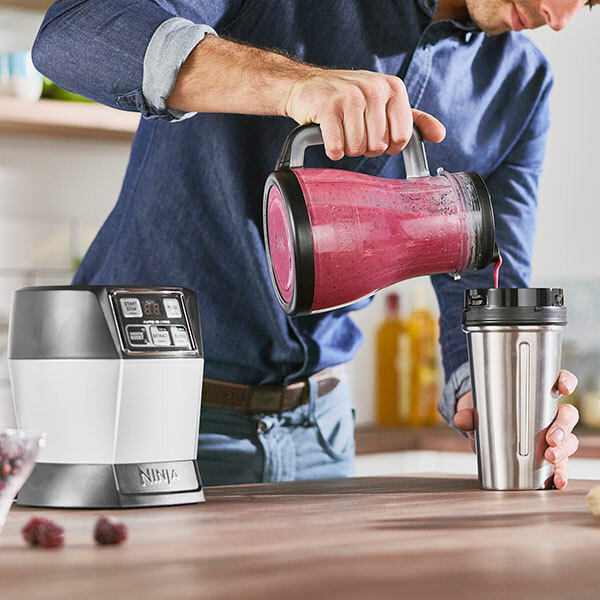 Rated 5 out of 5 by kempy from So smooth but loud Does far better than the cheap blender I got a while ago to make sure I’d make use of a ‘premium’ one. Very smooth blend even with fruit skins, manages ice too. Be warned, sounds like a light aircraft (no seriously) when it gets going. Rated 5 out of 5 by A Ar from Simply amazing This is simply brilliant. Blends fruit to a perfect consistency. Easy to use, easy to clean. Not much else you could ask for. Rated 5 out of 5 by smen007 from Brilliant. Warning: This transforms lives! Bought this some weeks ago and it is running daily. Smoothies every day, fresh and tasty. Replaced a meal. Feeling much better and helps in weight management! Who knew all this. Would highly recommend. 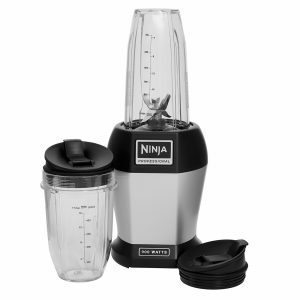 Rated 5 out of 5 by Samantha6 from Excellent Blender This is really easy to use, it completely breaks down celery into a nice smooth juice. Highly recommend it, good value for money. 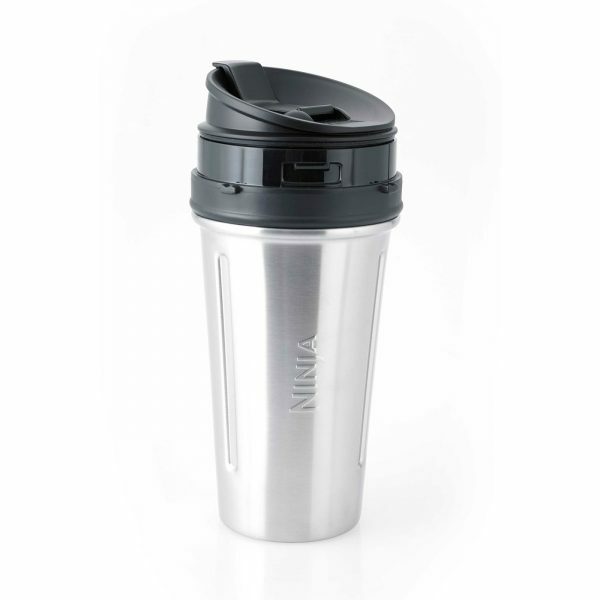 Rated 5 out of 5 by Glrkar from Best blender I’ve used This really is great. It was recommended by my gym coach. 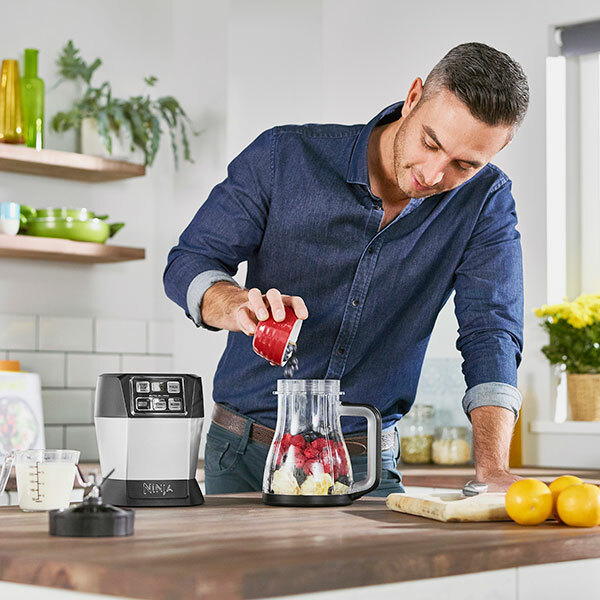 At first I was reluctant even on the half price sale, however, I then realised I have paid £25-£35 on blenders before & they haven’t been that great. This one is the best I’ve ever used. I got it on half price directly from Ninja. 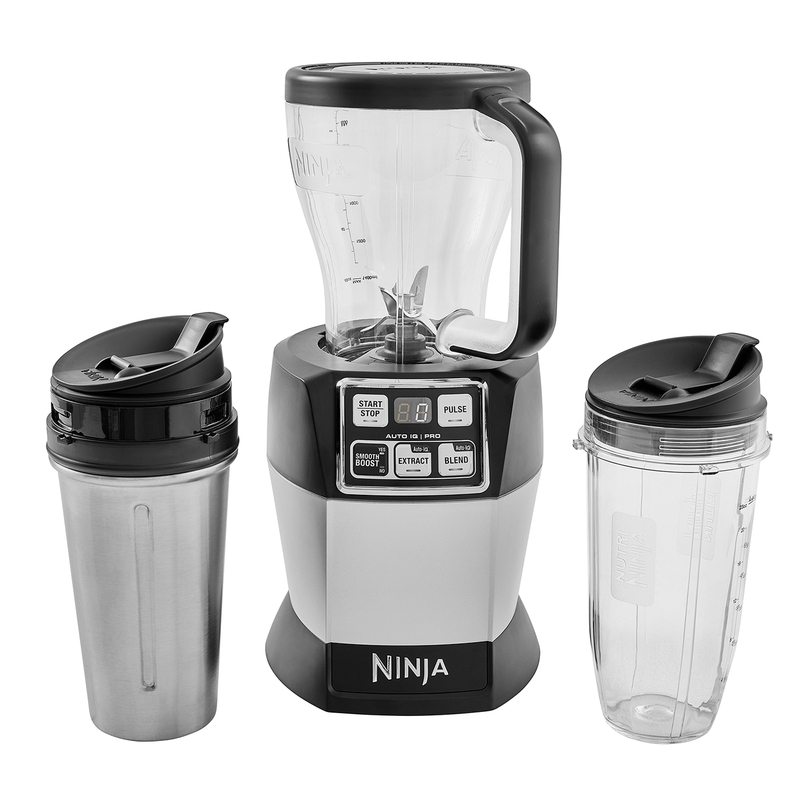 My advise would be, wait & save up that extra cash to get one (keep checking their website for their deals) it really is a great blender.